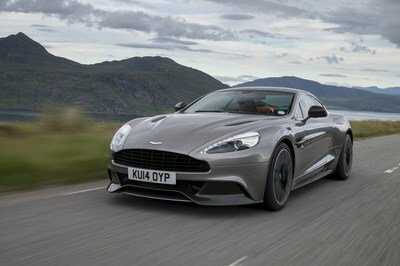 It looks like the 2013 Geneva Motor Show will bring together not only the most impressive supercars, but also a pretty impressive lineup of tuned cars. The latest announcement has been made by the German tuner AC Schnitzer, which will unveil a pretty impressive 640d Gran Coupe equipped with a M Performance package. Under the hood, the tuner managed to increase the standard 313 horsepower to 360 horsepower. For this the tuner modified the ECU and installed a new exhaust system with twin sports rear silencer with chromed "Sports Trim" tailpipes. For the exterior, the tuner prepared a pretty impressive aerodynamic kit that includes a carbon front spoiler and a carbon rear diffuser, a new front spoiler with optional chrome line set and a rear skirt extension. 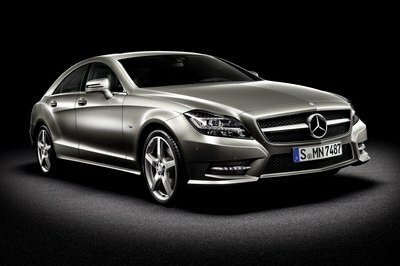 There is also a chromed front grille and bonnet vents, and a rear skirt protective film. 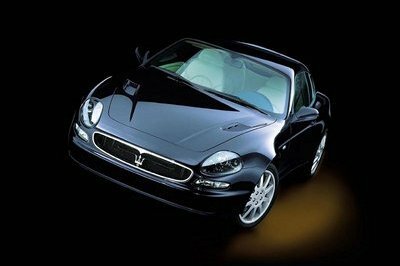 The car will sit on a set of wheels sized 19 or 20 inches, depending on the customer’s wishes. Helping drag the Bimmer to a halt is a set of eight-piston high-performance brake calipers. For the interior, AC Schnitzer is offering a "Black Line" aluminum cover for the i-Drive system controller, aluminum footrests and pedals, and velour floor mats. also available in export version, provides the matching sound track. 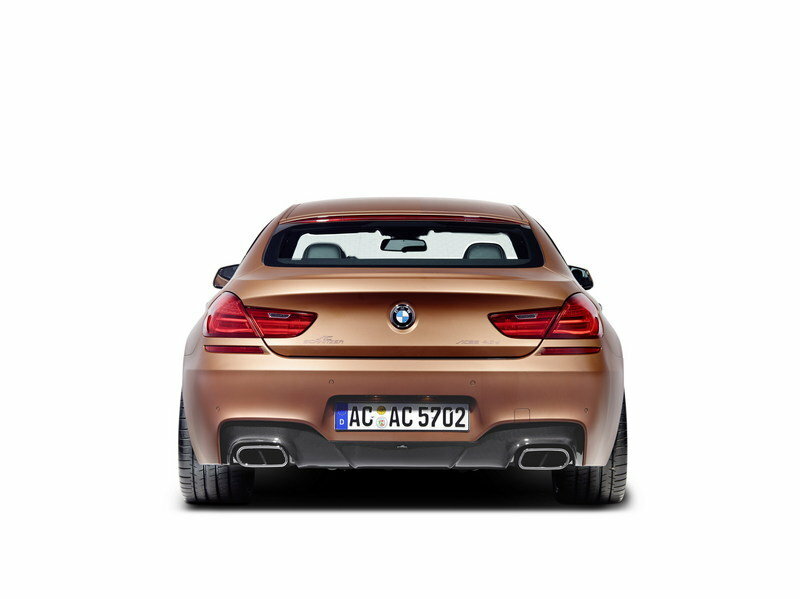 You will see that the CO2 emissions of almost all vehicles with the AC Schnitzer performance upgrade remain the same. On the contrary: the increase in performance even reduces the CO2 figure per HP. This is what we call Efficient Performance by AC Schnitzer. Deceleration too can be perfected. With the AC Schnitzer 8-piston high performance brake system for the front, the tuning experts have set new standards. The system - consisting of an 8- piston fixed caliper (left/right), the 8-piece set of brake pads and brake caliper holders - shows that even perfection can be improved. The same applies to the road-holding: the AC Schnitzer suspension spring kit gives the already excellent driving dynamics a further boost. 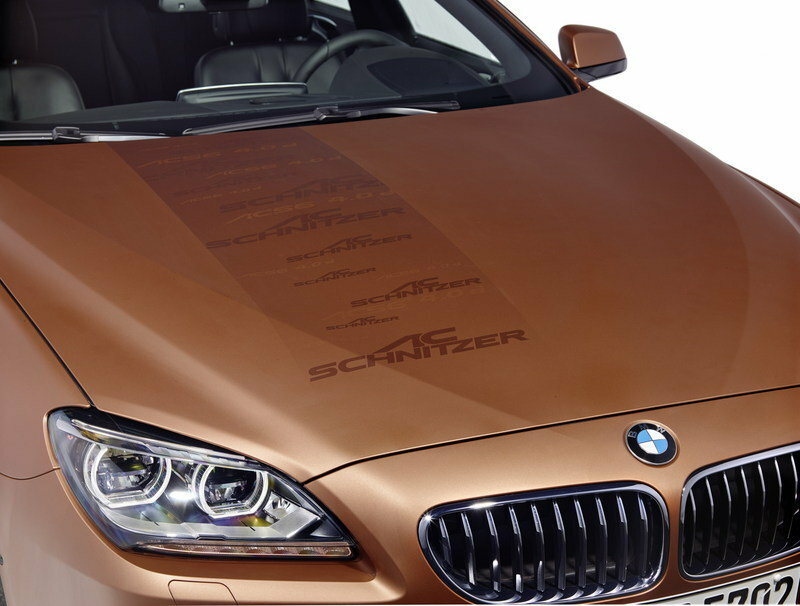 The bodywork components for the 6-series Gran Coupé by AC Schnitzer were designed by perfectionists for perfectionists; they give the Coupé a bonus in sporting looks. For cars with MTechnik a carbon front spoiler and a carbon rear diffuser are available. The versions without MTechnik can be equipped with a front spoiler with optional chrome line set and a rear skirt extension. 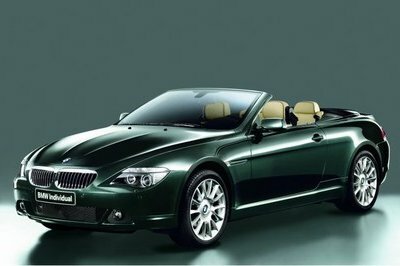 For all versions of the Grand Coupé in addition chromed front grilles and bonnet vents with optional design elements are available. The range of supply is completed by the rear skirt protective film. 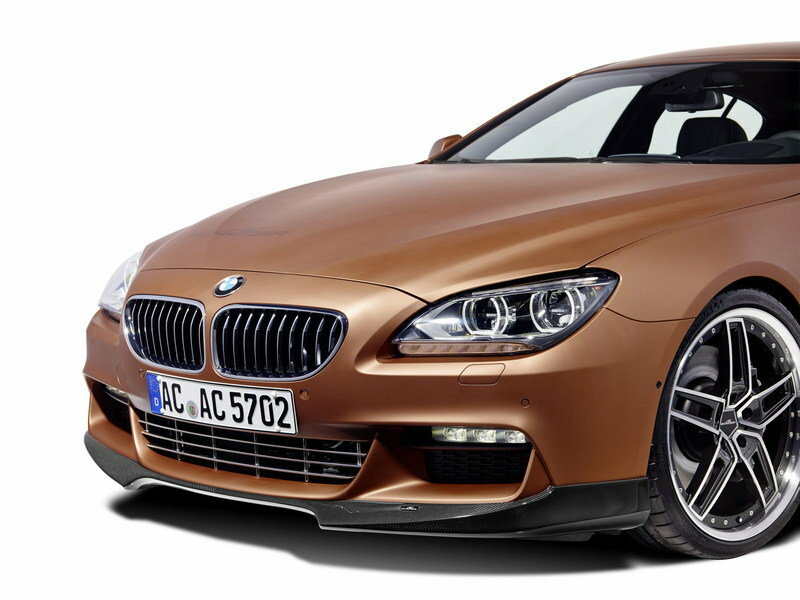 Top class equipment comes as standard with the BMW 6-series Gran Coupé. With targeted highlights of aluminium, AC Schnitzer gives the interior a sophisticated finish: the "Black Line“ aluminium cover for the i-Drive system controller, aluminium footrests and pedals, and velours floor mats give the interior even more exclusivity. 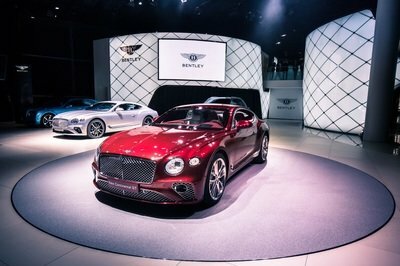 The coupé’s wheelarches are filled with wheels of various styles (Type IV BiColor, Type IV silver, Type VIII BiColor, black and silver), in 19" or 20" depending on type. Lightweight forged alloys and forged racing rims Type VIII BiColor are available in sizes 9.0 x 21" and 10.0 x 21" with 255/30 R 21 tyres on the front and 295/25 R 21 tyres on the rear. Perfectionism is defined as striving for perfection. This is the goal of the experts at AC Schnitzer, and the 6-series Gran Coupé demonstrates that even good things can actually be improved further. Brown color seems to be pretty impressive for a supercar. Aerodynamic kit sound nice because it includes a carbon front spoiler and a carbon rear diffuser, a new front spoiler with optional chrome line set and a rear skirt extension.